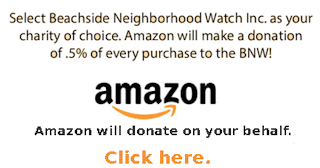 Amazon will donate to the BNW on your behalf just for using their quality products and services. There is no cost to you. With TD bank you may actually make money ! TD Bank will donate $10 to the BNW for each current account holder / $50 for each new account opened by a BNW member. New BNW account holders will receive $25. Call Paul Elliot at TD Bank for details: 386-254-7601.